You know that feeling when you shop in a retail store or travel on an airline, stay in a hotel, or support another consumer goods organisation and you learn they, in turn, are supporting a worth-while charitable organisation? I had that feeling this weekend when I booked a hotel stay at the QT Hotel in Canberra. Upon submitting my QT Hotels reservation for a two night stay in June, I was prompted to make a donation to support children’s hospitals across Australia. Under the heading “Help Change a Life“, QT encourages guests to participate in their partnership with 9 leading children’s hospitals by making a donation directly. In my opinion, there needs to be more partnerships such as this one. Who can argue with supporting a children’s hospital in your community? I am excited to see what they do in-house to promote this program and whether I am encouraged to further my support when at the hotel itself. 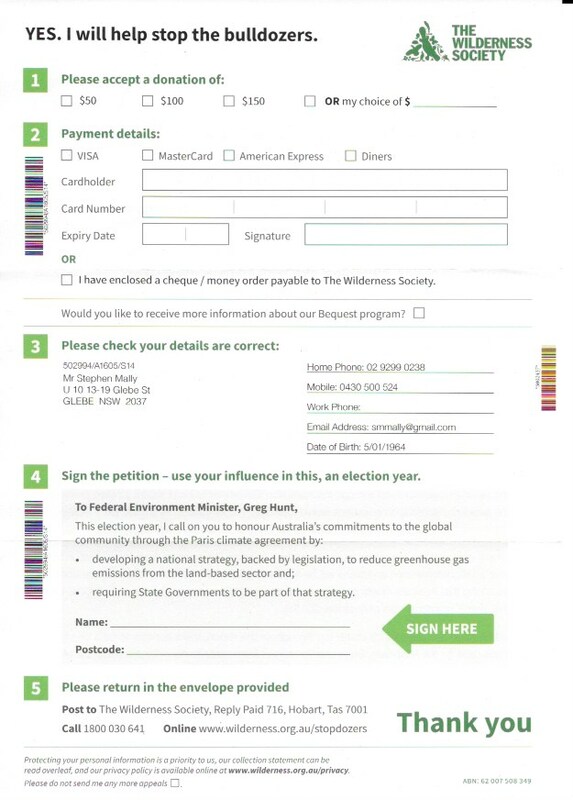 We have all worked for organisations where members of the major gifts team did not wish for “their donors” to be contacted via the organisation’s direct mail. With an average portfolio of about 150 people, it is unlikely, although not impossible, the major gifts staff person takes the time to have personal contact with the each person in his or her portfolio. The only means the donor may hear from the charitable organisation is through direct mail. The donor likely learns a good amount of information about the nonprofit organisation through the appeals. The donors or prospects in the pool have not made this opt out request. Instead, the organisation staff person has made the choice for the donor. Due to the lack of communication, it is likely the donor will feel “forgotten” or lose touch with the charity. If the charity is not in contact with them via direct mail, you can be sure another charity where they give a major gift is reaching out through the letterbox. Opting to not send direct mail to people in one’s portfolio suggests the major gifts officer is not a team player and, in fact, suggests he or she considers direct marketing to be “dirty” or “junk mail”. The donors and prospects in a major gifts officer’s portfolio are not their donors. These donors and prospects belong to the organisation. I am not suggesting everyone in a major gifts portfolio should receive direct mail pieces. In fact, there will be donors or prospects who opt themselves out from receiving certain pieces of mail. We must abide by such requests. Your database will be able to handle opt outs and communications preferences in a sophisticated manner. Staff creating blanket rules for donors is not smart. Instead, take the time to create a high dollar package. Work in concert with the direct marketing person on your fundraising team to customise the experience for the donor and be part of the appeal effort rather than work against. I wrote previously about my giving to conservation organisations, including Bush Heritage Australia (BHA) and The Wilderness Society (TWS). I have also written about best practices these conservation organisations follow in terms of response devices and confirm, edit and enhance. This week I received a tax appeal from TWS. The TWS response device spoke of best practice, yet again. What makes this a best practice response device? The response device is clear, clean and easy to read. A question is featured to ask me if I wish to receive more information about the TWS bequest program. My contact details are pre-populated on the form. I was asked if my contact details are current. The form features multiple calls to action. There are three, in total, including the bequest tick box, a petition, and an opportunity to make a gift. TWS include vehicles to make my gift – post, phone and online. Finally, the form includes an opt out mechanism. TWS, and BHA previously, know how to make it easy for the donor to respond to calls to action and to assist the organisations to keep their data clean and correct. Charities across Australia might make a gift to both nonprofit organisations to get on their mailing list and to see live best practice samples for themselves. Earlier this week, I wrote a blog post suggesting tax appeals are a bit tardy this year. This may or may not be right. It is simply my opinion as a donor to more than 200 Australian charities. Assuming some charitable organisations are behind with their tax appeal, perhaps the reason is data hygiene. One of the single most important steps prior to the tax appeal drop is the need to complete data cleansing. Tax Appeals – late this year? It strikes me that I’ve not yet received a tax appeal from any charity. The end of financial year is just a little over 7 weeks away and not a single tax appeal has hit my letterbox or email in box. I have heard from a number of direct marketing specialist suppliers only a few charities have physically dropped their tax appeal and 90% of the charities they serve will either drop their appeals in the coming week or two. Is your non-profit organisation behind in your tax appeal tasks? Or, is this donor alone with feelings things appear to be a bit slower this year? Dropping your appeal in the next week or two will still allow for follow up waves to occur. Making it any later will dramatically lessen this capability. Last year, I received tax appear up to and include the week of the end of the financial year. If you are an Australian fundraiser, there are ample professional development opportunities to satisfy your appetite and to ensure you are on top of current trends. In fact, the choice can be overwhelming. 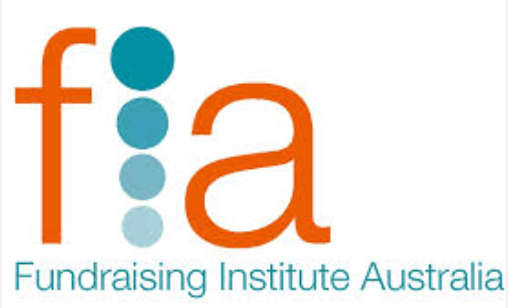 While there are a variety of opportunities for you to choose from, FundraisingForce suggests you choose Fundraising Institute Australia (FIA) as a one-stop shop for professional development. At FIA you may elect to participate in events coordinated locally or participate in courses produced by FIA on a national scale. FIA offers local events, as well as courses in the classroom or online. All angles, styles of learning, and topics are covered with FIA. Becoming a member of the peak fundraising body also ensures discounted rates to attend all FIA events. FundraisingForce are pleased to sponsor FIA NSW and a plethora of activity occurring in 2016. Flying between Sydney and Melbourne this week, I was struck by two promotions showing companies taking pride in their philanthropy. Qantas are continuing to promote its program for UNICEF. A giving envelope is placed in each of the headsets available for taking upon boarding. This long-standing program has raised millions of dollars for UNICEF. Often times, Qantas flight attendants make an appeal through on-board announcements for people to give their loose change. I have written about this terrific cause related marketing program prior. Second, I witnessed the Westpac Bicentennial Foundation $100 million scholarship fund billboards throughout the Sydney and Melbourne airports. Lighted billboards highlight the promise Westpac have made to back 100 people with the “imagination to shape Australia’s future”. Westpac have committed to giving 100 scholarships each year…”forever”. Imagine the “hidden philanthropy” which occurs where consumers are not aware of the good many companies are doing in Australia. It’s nice to see Qantas and Westpac promoting their philanthropic efforts and, in turn, encouraging other corporations to follow their lead.